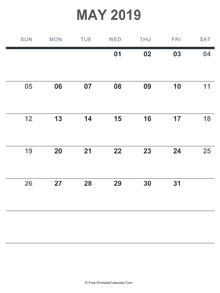 May 2019 Editable Calendar with Notes - A free printable calendar has the first day of the week start on Monday. 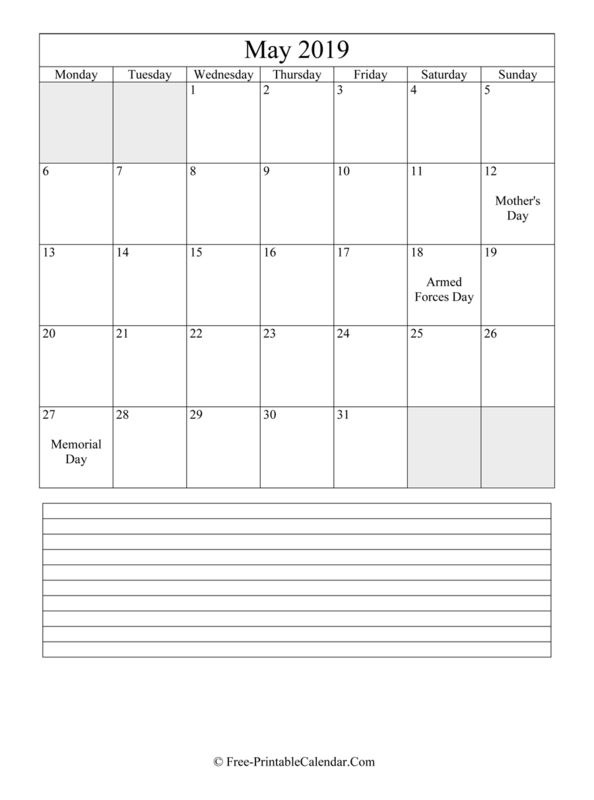 This may Calendar is available in Word format (.docx) then you can easy to edit before printing. This calendar is free for personal use only and if you think it is useful please link to us. 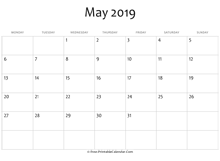 Just copy & paste the following code to your site or blog to share May 2019 Editable Calendar with Notes.